The College had a short autumnal break this week, Thursday through Monday. Not a lot of time but I’d seen postings in the caf about various places to go nearby and retreats happening and so forth. 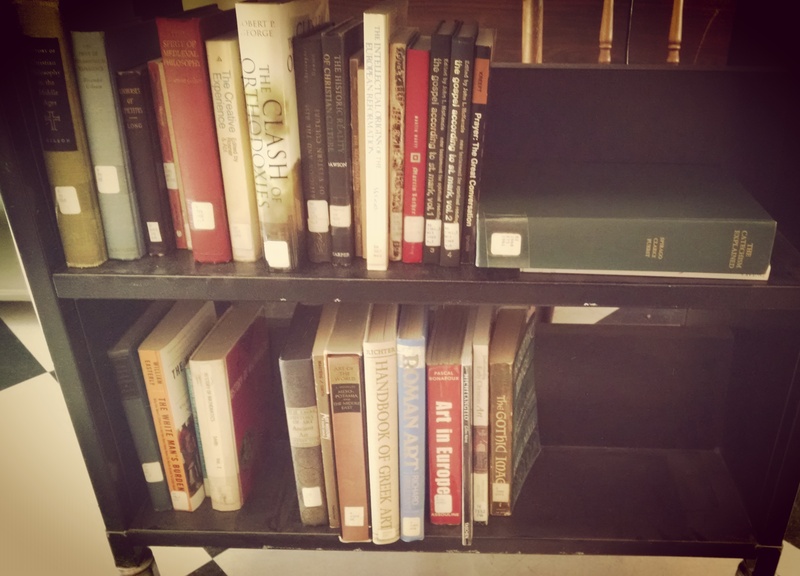 I assumed I’d have the library to myself and I could dive into the Ballroom– the beginning of the “P” section, easily the largest part of the documented catalog. 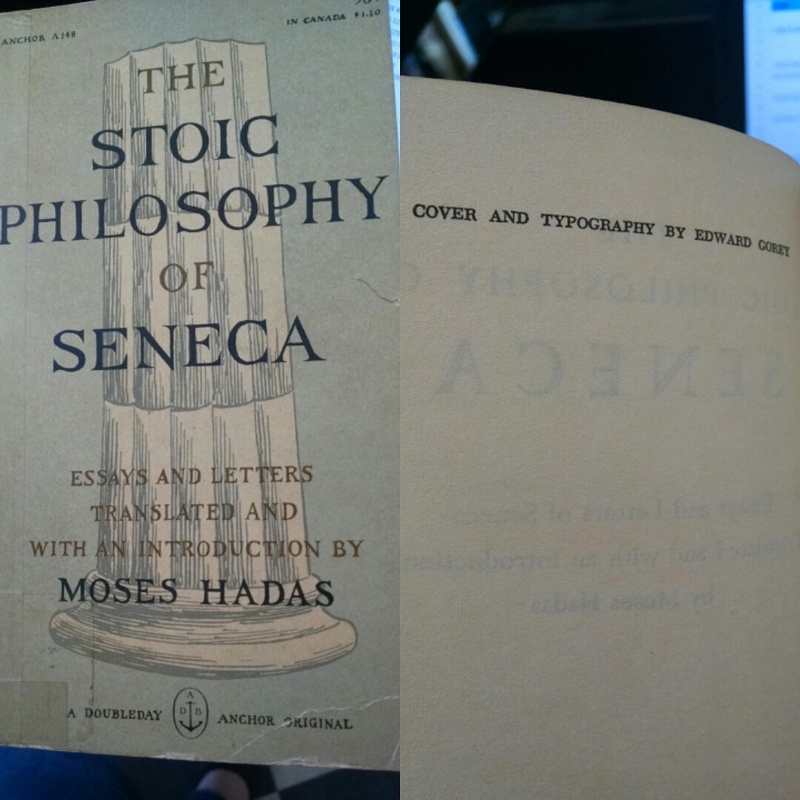 As a student I appreciated being surrounded by literature and Latin grammars and Greek lexicons and so forth. It was comforting– if so many major and minor and utterly forgotten authors had been able to get their works published and purchased, surely I could muddle through my exams and essays. As a librarian, such a set up is difficult. So much of the day takes place in the library, even on weekends. Every weekend so far, in fact, the rooms have been occupied with play practices. Finally, I thought, a morning to work as hard as humanly possible! I had left the day off my Year 1 roadmap initially, and added it back in relatively late, hoping to work ahead. I forgot I was at TMC. Most of the students had, in fact stayed on campus for the break and were simply relaxing with their books and taking time to think leisurely. Whoops! So back to shelving I went. Its the oddest set up; my assistant is methodically working his way through the catalog, starting with the “A” section, which is now complete. Once returning from break, he’ll be able to start on the “B” section. (For those needing a run down of what fits into what category, check it out here.) I, meanwhile, work through the returns. Its an odd ball bunch, to be sure. There’s been a trend toward all things Reformation in the last two weeks, with a large number of art books coming back in as well. Perhaps the best part of the shelf read for me, as a former student, is having dedicated time in my week to become reacquainted with the books of my youth. I certainly never got a chance to review the art and music part of the collection, so each book that comes back in is a treat that leads back to that little corner of the library. Because of the need to review all pertinent book data for the shelf read as well as schlep and shelve, I find myself chaffing at the glacial pace we are stuck in. 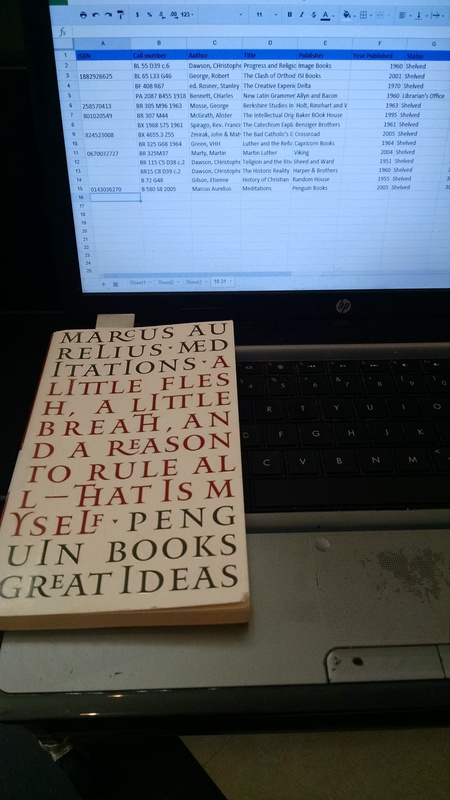 On average, I get 40-50 books a week done in my 4 hours Saturday shift, taking the data home to plug into the master spreadsheet and compare what was already on file. Anyone who has undertaken this type of project before and has a potentially better way, please share! Some Edward Gorey for Halloween morning! 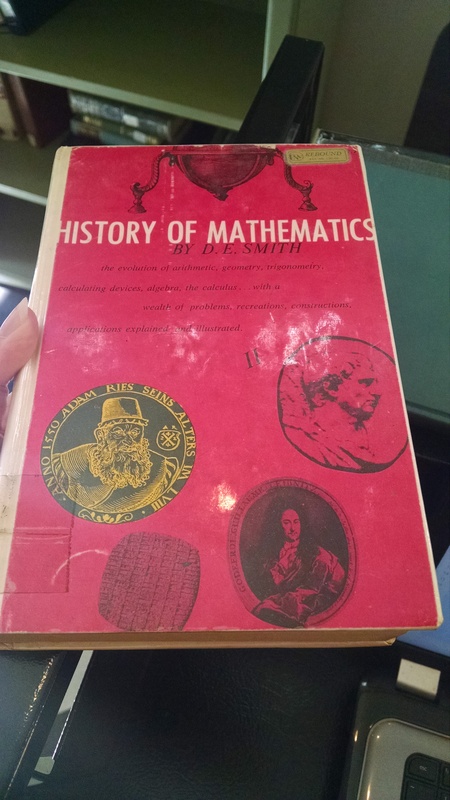 The History of Mathematics, a surprise for the collection. Also published in the 1950s, so I image there are some newer discoveries missing.